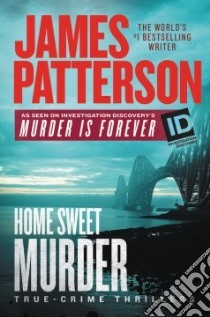 Two true-crime thrillers as seen on Discovery's Murder is Forever TV series - premiering January 2018 HOME SWEET MURDER. Lawyer Leo Fisher and his wife Sue are a sixty-one-year-old couple enjoying a quiet Sunday dinner at home. Until a man in a suit rings their front door claiming to be an SEC agent. By the end of the evening, two people will be shot, stabbed, and tortured. And two others will fare worse . . . MURDER ON THE RUN. The middle-aged housekeeper found dead with a knife in her throat was bad. But the little boy was worse. After a bloody double homicide that puts Omaha, Nebraska, on the map, Detective Derek Mois promises the boy's parents he will catch the killer, no matter how long or far he runs . . .